Peter Alan Smith holds an MBA from Harvard University and is a Trust Administrator for John Hancock, having worked there for almost 30 years. In addition, he currently teaches Risk Management at the College of Charleston’s School of Business and and serves as the Board Chairperson for the South Carolina Commission for the Blind. Peter hasn’t let vision loss prevent him from pursuing the sports that he loves, including becoming a 1995 Paralympic silver medalist in tandem cycling. 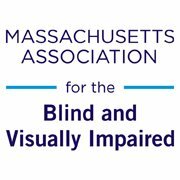 At the 1994 Boston Marathon, Peter competed on what would later become known as Team With A Vision with the Massachusetts Association for the Blind and Visually Impaired (MABVI). Hey there, my name is Peter Alan Smith. I’m also known around Charleston, South Carolina as the Midnight Golfer. That’s the title of my forthcoming book! But the story isn’t just about golf. It’s about joyfully overcoming many diverse obstacles. There will be more to come on that later on. 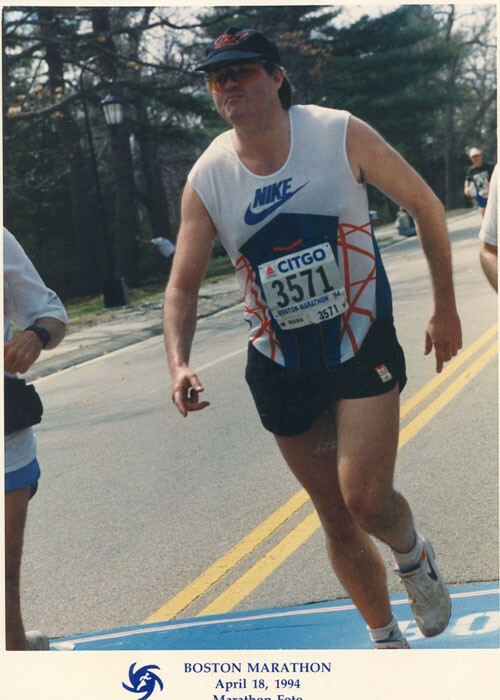 I ran my first Boston Marathon back in 1993; 23 years ago! I was subsequently recruited by what was then known as the first Nike/MAB Team – what is now called Team With A Vision – to run the 1994 Boston Marathon. I guess that makes me one of MABVI’s grizzled old veterans! I’m 57 now and run 5K’s, toodle around on my tandem, and litter golf courses with stray balls.